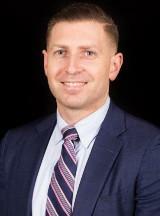 Justin T. Quinn is a litigation partner with Robinson Miller. Mr. Quinn handles complex commercial matters in federal and state courts throughout the country, drawing on his unique background as a deputy clerk to a United States Magistrate Judge and law clerk to a United States District Judge to provide clients with work product and insight informed by virtually every relevant perspective of civil litigation. Mr. Quinn brings a results-oriented approach to address clients’ most critical problems, whether that be through pre-litigation counseling, motions practice, litigation through trial, or appellate proceedings. Clients and colleagues alike have lauded Mr. Quinn’s aggressive style, thoroughness, and ability to quickly understand their most sophisticated legal issues, including questions of statutory authority and constitutional dimension. As a result, Mr. Quinn has been heralded a “Rising Star” by Super Lawyers Magazine each year since 2014. Mr. Quinn’s practice focuses on defending complex business and commercial disputes in a variety of areas, including consumer fraud, class action litigation, contract law, employment law, media law, copyright/trademark law, and administrative law. Mr. Quinn serves on the District of New Jersey’s Lawyers’ Advisory Committee. He graduated from Seton Hall University School of Law in 2010, and is a member of the following bars: State of New Jersey; State of New York; United States District Court for the District of New Jersey; United States District Court for the Southern District of New York; United States District Court for the Eastern District of New York; United States Court of Appeals for the Third Circuit; and the Supreme Court of the United States. Thomas, et al. v. The City of New York, et al. (E.D.N.Y.) (Counsel for Advance Publications, Inc. and one of its journalists in federal lawsuit involving claims of defamation, federal conspiracy, emotional distress, and federal stigma plus. Successfully obtained with-prejudice dismissal of all claims). East Coast Test Prep LLC, et al. v. Allnurses.com, Inc., et al. (D. Minn.) (Counsel for Allnurses.com, Inc. in a “sprawling” defamation case brought against the operator of a website. Successfully obtained dismissal of seventeen-count complaint based upon, inter alia , the immunity provisions of the Communications Decency Act). United States v. Lyca Tel, LLC (D.N.J.) (Counsel for Lyca Tel, LLC in forfeiture action brought by the United States following administrative proceedings before the Federal Communications Commission). The Jersey Journal v. City of Bayonne, et al. (N.J. Super. Ct. Law Div.) (Counsel for newspaper in summary action for access to a public government record. After lengthy, embroiled litigation, trial court concluded that The Jersey Journal was a “prevailing party” under New Jersey’s Open Public Records Act, and awarded The Jersey Journal its counsel fees and costs of nearly $105,000). Gould v. Advance Local Media, LLC (S.D.N.Y.) (Counsel for Alabama Media in litigation involving allegations of copyright infringement). McDermott v. Advance Publications, Inc. (E.D.N.Y.) (Counsel for Herald Publishing, LLC in action involving allegations of copyright infringement). NJ Advance Media LLC v. Middlesex County Prosecutor (N.J. Super. Ct. App. Div.) (Appellate counsel for NJ Advance Media LLC. Successfully secured affirmance of trial court decision, and was awarded counsel fees and costs).